** Updated** IRON MAIDEN MUMBAI VIDEOS are here. Maiden is no doubt the best LIVE Performance heavy metal for sure. Precision without faltering anywhere, Maiden delivered & thrilled the Mumbai crowd. After the first 2 songs, Aces High & 2 Minutes To Midnight, Bruce said that he was happy to be here in Mumbai, which was earlier called as Bombay, however locals still like to call it Bombay. For PowerSlave Bruce wore a Egyptianlike headgear. Like the Bangalore concert Fear of the Dark received maximum crowd participation, with everybody joining in the chorus. During the song ‘Iron Maiden’ Eddie appeared as the Cyborg with a gun a hand. After the break, Bruce introduced all the band members. I guess, words like ‘amazing, awesome, mindblowing’, etc, would be common for everyone. However, I request you to provide a more in depth review in ‘proper’ English, please. Thank You. Cya all @ the concert. My experience about Custom Playing Cards from day before yesterday comes here. The reviews have started to trickle in. See comment 58 onwards [at the bottom of this page] for the Reviews of Live Megadeth Concert in Bangalore. Review of Megadeth Concert in Bangalore – “Rock in India” Concert. Hi All, please send me your reviews of the concert here. The final setlist for this Megadeth concert & what you personally felt after the show. Apart from awesome, terrific, great, please try to put across a genuine meaningful review. Thank You. 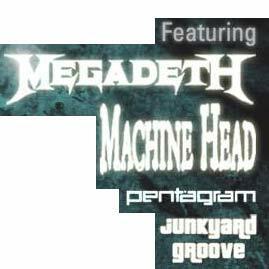 Megadeth will be playing Live in Bangalore on 14th March 2008 at the “Rock in India” Concert.